Project manager: accountable for what? obfuscation – when debates about who is responsible result in, or are used to explain, delays and inaction. Perhaps you recognise some of these? What is your role, do you know? The project environment has been growing specialist roles for some time – project manager, programme manager, project sponsor, portfolio board, business owner, business analysts, the PMO and we haven’t even mentioned the technical delivery specialists! Now we add in the complexity of the change management team alongside the project management team. Considering this, it is hardly surprising that some projects are literally grinding to a halt under the sheer weight of role confusion. Now, don’t get me wrong – it’s not that I think that role specialism is a bad thing. The introduction of roles such as the change manager is crucial to the skill mix required to engage and create sustained change in the business. But with every role introduced into the project arena we must consider the overall impact upon the composition of the team and how they can work together effectively. Professional body competency models tend to take focused – one might say blinkered- approaches which do not necessarily take into account other contributing roles. Have a look at this extract from the IIBA standard (International Institute of Business Analysts) showing some of the key tasks to be performed by the BA. I wonder how many of the project managers out there are wondering why the BA would be doing this. Oh, and by the way, the change managers will also think that some of these are their responsibility. Project management delivery inevitably involves multi-disciplinary teams working together to achieve a common goal. Often I find that these groups have little understanding about one another’s roles and responsibilities. As new specialisms are introduced, this problem is exacerbated. Just as project managers are getting used to using the skills of Business Analysts appropriately, to facilitate the understanding of business needs, they are faced with the Change Manager. So what’s the Change Manager’s role and how does it differ from the analysts? When do I need a Change Manager and what can I expect from them? A framework of responsibilities, skills and competencies is helpful – the best example of this we have is possibly SFIA (Skills Foundation for the Information Age). The Institute of IT professionals (then the British Computing society) recognised the need to provide a framework which would position different but related roles. A great piece of work, but (quite rightly given its audience) focused purely on IT roles. Are we in danger of losing the all-rounder… and is that good? With more specialist role focus, there are also more areas of overlapping core competencies. It is not uncommon to find a business analyst who is also a competent project manager whilst having the empathy and understanding for change management. Which role/s they are playing needs to be understood both by the team and the individual. If they grow into roles to meet their perceptions of responsibility gaps or are undisciplined over the job space they occupy, then role confusion may result. But does that mean we should stop them playing these roles – after all – isn’t a competent all-rounder a good thing? There is a continuum between role specialisation and generalist. Too specialised and you may incapable of seeing the big picture and unwilling to take on the responsibility. Too generalist and you may not have the skills necessary for the responsibilities you take-on. That said I fear that Professional body competence standards have pushed us too far towards the specialist end – and I am saddened to see the smaller and smaller box we seem to be placing the project manager role into. 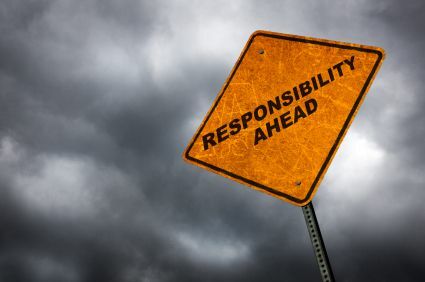 No wonder so many good project managers are being forced to call themselves programme managers just to seize back the level of responsibility that should go with their role. ← Is this why South Africans make great project managers?